Inverted Optical Fluorescent Microscopes are very useful for observing living cells or organisms at the bottom of a large container like a tissue culture flask, under more natural conditions than on a glass slide. 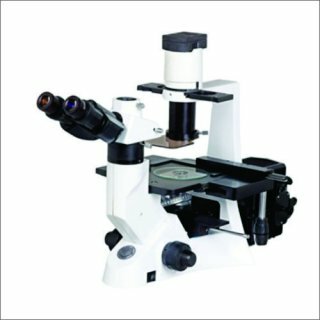 This microscope is perfectly suited for cell culture observation, to obtain details of cell growth process, internal spontaneous fluorescence phenomenon, living cell fluorescence transfection, protein transfer, etc. 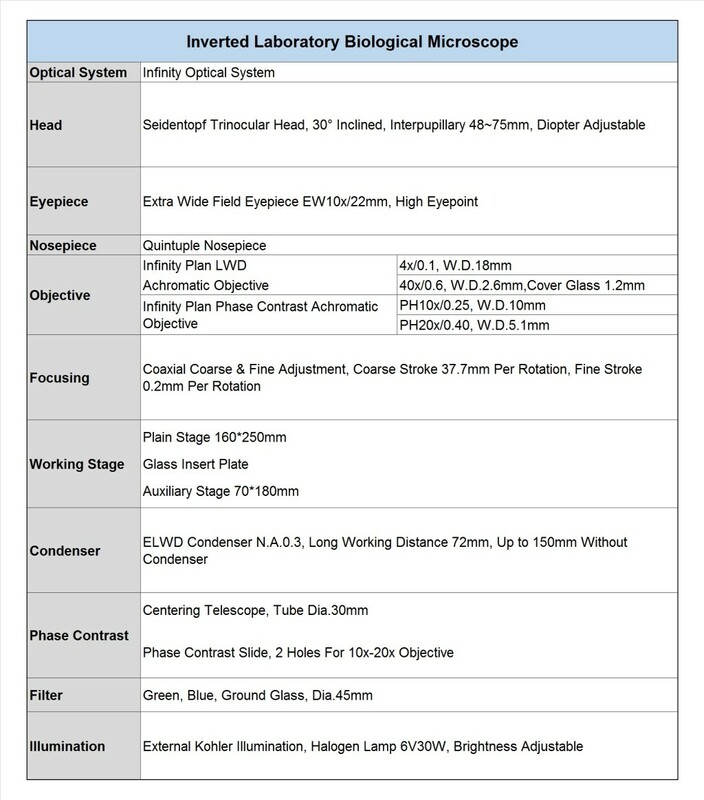 In addition, it can be used for applications like micromanipulation where space above the specimen is required for manipulator mechanisms and the micro tools they hold, and in metallurgical applications where polished samples can be placed on top of the stage and viewed from underneath using reflecting objectives. 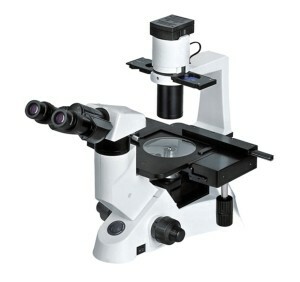 This microscope comes equipped with the latest and greatest generation of infinity color corrected optical system, professional plan semi-apochromatic and fluorescence objectives that delivers an extremely sharp and bright fluorescence image.